Kick off the summer and escape to an island paradise right in the heart of Hoboken. 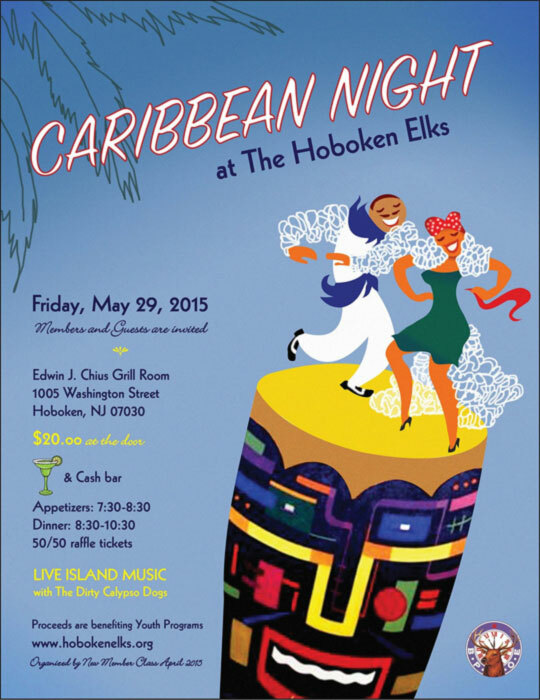 Caribbean Night at the Hoboken Elks Lodge 74 is a fundraiser for The Hoboken Elks Youth Programs. These programs support a wide variety of special needs including college scholarships, youth athletics, summer camp, and much more. This latest fun event will be held on Friday 5/29 from 7:30pm – 10:30PM. Members and guests are invited for a delicious Caribbean inspired dinner and music downstairs in the Edwin J. Chius Grill Room of the Hoboken Elks Lodge (1005 Washington St, Hoboken). Your $20 donation will benefit the lodge’s Youth Programs. 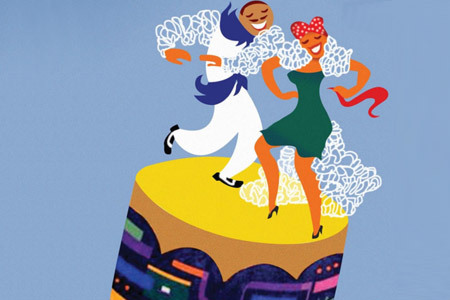 You’re sure to get into the Caribbean spirit with the music of The Dirty Calypso Dogs. Featuring local pirates Chuck Timulty, Ty Tuschen, Jaime Dejesus & Sylvana Joyce! Don’t miss out on this fun night!